Phra Phutthabat Yasothon is situated in Wat Phra Phutthabat Yasothon in Maha Chana Chai in the Yasothon province. The hall enshrines the Lord Buddha’s Footprint in the form of a white sand dune at the fertile area of the Chi River, and sandstone Buddha image. It is written that the image was brought from Ayutthaya in the year 835. 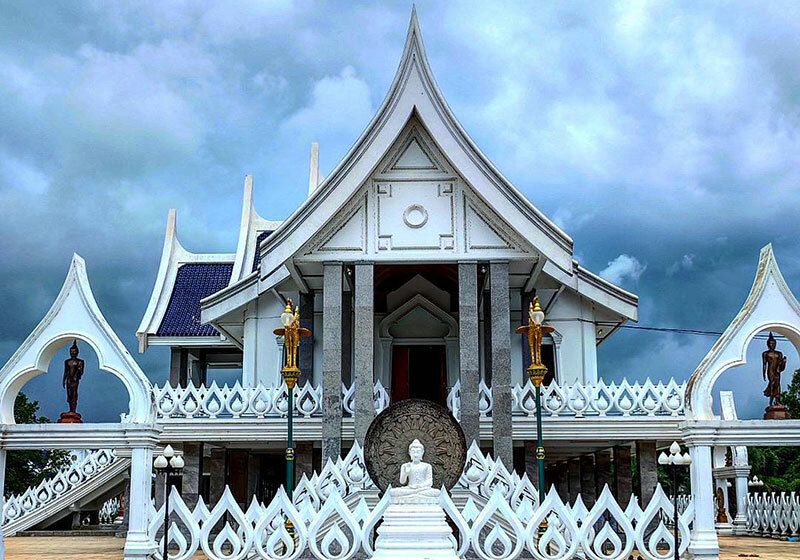 Short Description: Situated in a temple named WatPhraPhutthabatYasothon, this religious antique represents the footprint of the Lord Buddha and is located on a white sand dune near Chi River. Nearby is a nearly one-meter-wide laterite Buddha image meditating as Nagas (sea serpents) slither above. An ancient inscription states that the antiques were brought from Ayutthaya in 835 by two venerable monks, though the inscription has faded with the passage of time. Residents of the province come to the site to pay homage to the footprint each March and April.